Since 2006, Battle for Salvation has provided a place for gamers to gather across the tristate area. In addition to our weekly gaming nights, the club has hosted dozens of events and tournaments. 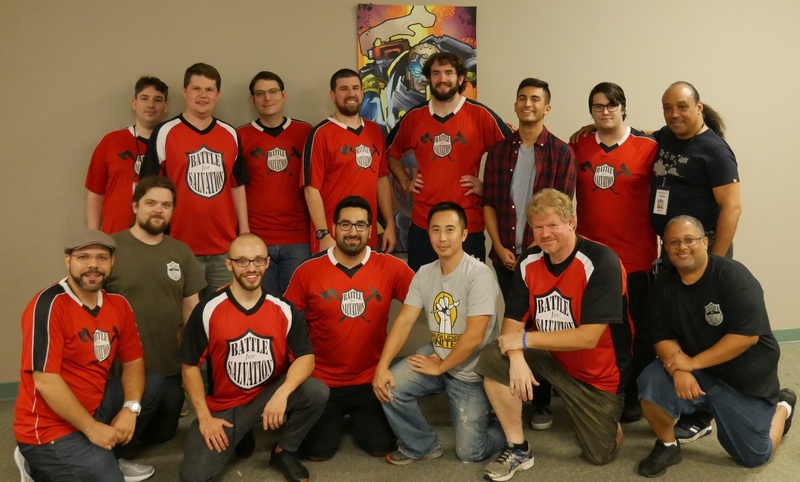 Over the years, the BFS Grand Tournament has become the premier Warhammer 40K GT in the Northeast. Although the club began playing exclusively Games Workshop games, we have expanded to include a larger variety of tabletop options. Every Monday, members meet to play games of Warhammer: 40,000, Age of Sigmar, Warhammer: Underworlds, Dungeons & Dragons, Star Wars: X-Wing, and an assortment of strategic board games. Newcomers are always welcome, and players can bring anything they like! So, come for your favorite game or jump into a demo of any mentioned above. Come by, check us out and have fun. Our Mission is to support and nurture the gaming community. We want to foster strong relationships with our local gaming stores and be a pillar of the competitive gaming scene.